I have some big news. It is moving season! Yes, it’s true. With summer around the corner, many people are planning a move. (I’m not…but lots of other people are.) Whether it is across town or across the country, moving can be stressful. Having personally moved 9 times in the first 9 years of marriage…I would like to consider myself somewhat of an expert on the topic. 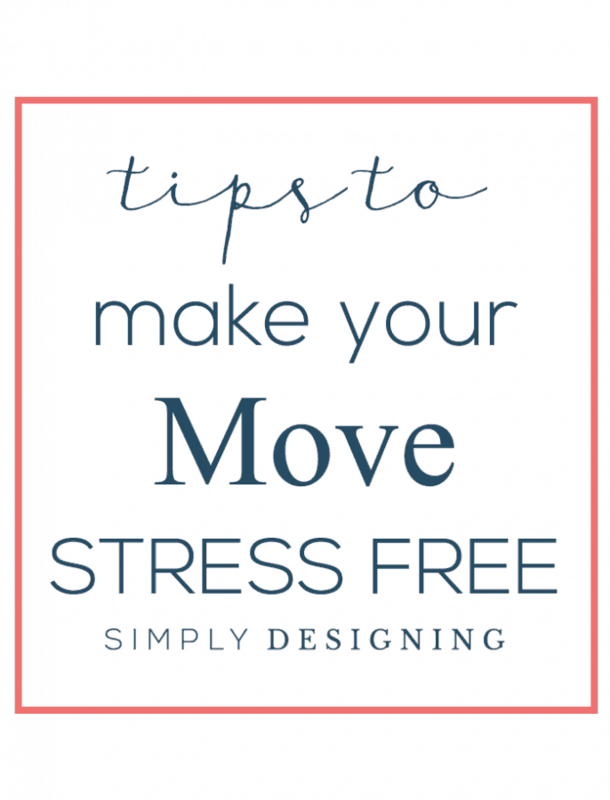 Well maybe not an expert, but I have certainly learned a few tips and tricks along the way and I am excited to share my tips to make your move stress free. Before you begin packing, take a moment and PURGE your home! If you don’t use it, love it or there is no sentimental value to it, don’t move it, purge it. You can see my tips to decluttering your home by searching on my blog for 7 Hours to a Decluttered Home. I suggest you go through this process before you pack a thing. Make your move stress free by not moving things you don’t use or love. Rent or buy boxes and begin packing. Begin by packing the things you use least, first. Take extra care with things that are fragile and don’t over pack your boxes. You want to ensure no box is too heavy to reasonably lift. As you get closer to the time of your move, pack up your kitchen, switch to using paper goods to make your life easier. Be sure to label your boxes with the rooms that they will go into your new home. Make sure to put in a change of address form with USPS. Notify utility companies that you need to shut off utilities on a certain date and request they be turned on at your new residence. Notify your bank and any subscriptions of your new address as well. Another great way to make your move stress free is to measure your new home to ensure that your furniture will fit through doors and into the rooms you plan to place it in. If something won’t fit, don’t move it. Donate it or sell it. 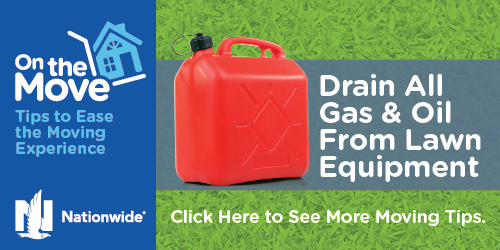 Remember to drain your lawnmower and other tools of oil and gas. Empty and defrost your refrigerator. Determine if you are taking any food with you and pack it up. If you are moving close, it is easy to take all your food with you. But if you are moving a long distance, don’t plan to move food. It weighs a lot and takes up a lot of room and might not be worth it. 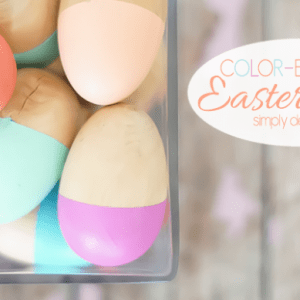 Pack a first night box or bag. When you arrive in your new home, you might not be able to get everything unpacked right away. So be sure that you have a bag or box that contains everything you will need for the first couple of days in your new home like toiletries, a change of clothes, cleaning supplies, toilet paper, medications, paper goods, snacks and bedding. 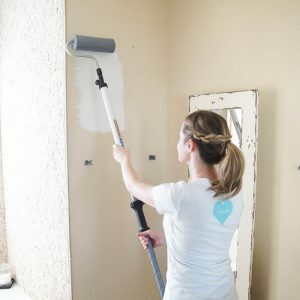 Clean your new home before moving into it. Once your old home is empty clean your old home. This is trickier if you are moving far away and it might be easier to hire help if you are unable to do it yourself for any reason. If you are looking for more great moving ideas, check out this infographic from Nationwide. 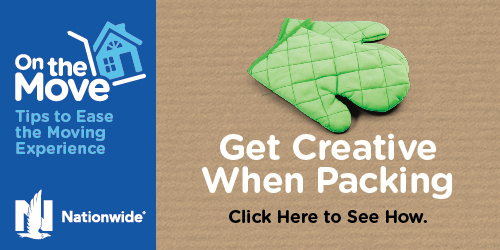 You can learn more Tips to Ease the Moving Experience on Nationwide’s blog.